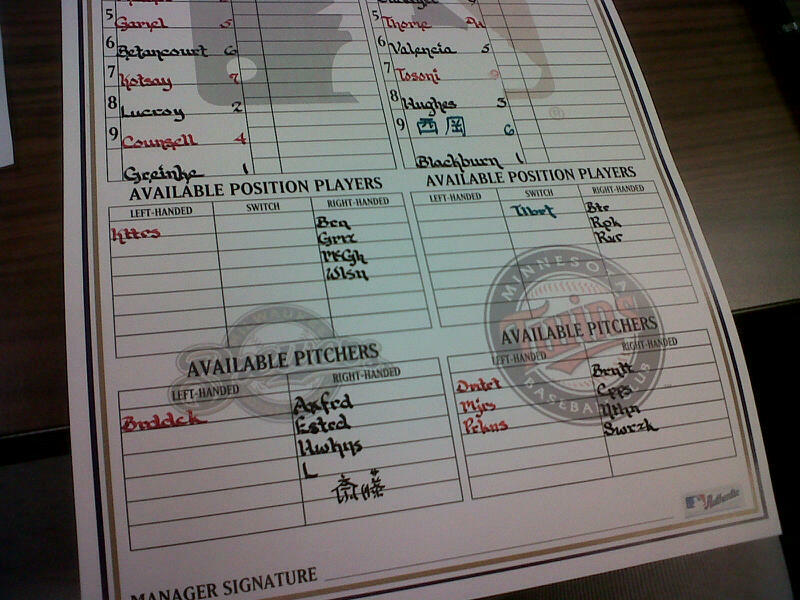 Jerry Narron’s lineup card…a work of art. Notice the two names written in Japanese: Takashi Saito in the Brewers bullpen and Tsuyoshi Nishioka in the Twins lineup. Narron said Saito’s name is the hardest name he’s ever had to write in Japanese. Do you think todays players have lost the art of fouling the ball off?